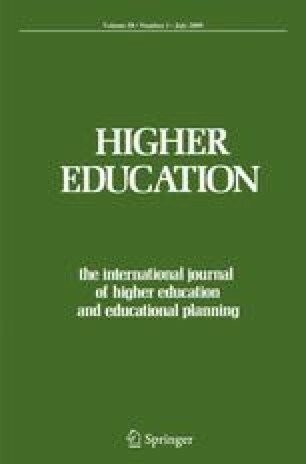 Sixty doctoral students and 34 faculty members were interviewed in departments identified as having high and low doctoral student completion rates at one institution in the United States in order to examine the cultural contexts and structures that facilitate or hinder doctoral student completion. This paper outlines the differences in understandings of doctoral student attrition by role and by department using attribution theory. Implications for policy, practice, and further research are included. Carnegie Foundation for the Advancement of Teaching. (2003). Carnegie Initiative on the Doctorate: Brief Overview. Retrieved January 24, 2008, from http://www.carnegiefoundation.org/CID/index.htm. Golde, C. M., & Dore, T. M. (2001). At cross purposes: What the experiences of doctoral students reveal about doctoral education. Retrieved January 24, 2008, from http://www.phd-survey.org. National Science Foundation. (2004). Alliances for graduate education and the professoriate. Retrieved February 26, 2006, from http://www.nsf.gov/pubs/2004/nsf04575/nsf04575.htm. The Carnegie Foundation. (2005). The Carnegie classification of institutions of higher education. Retrieved September 12, 2007, from http://www.carnegiefoundation.org/classifications/index.asp.